A very large part of a great trip depends on the Guide you’ve chosen. We have selected guides well known for their professional skills and their complete knowledge of the Mali. They are Dogon natives and true region specialists. 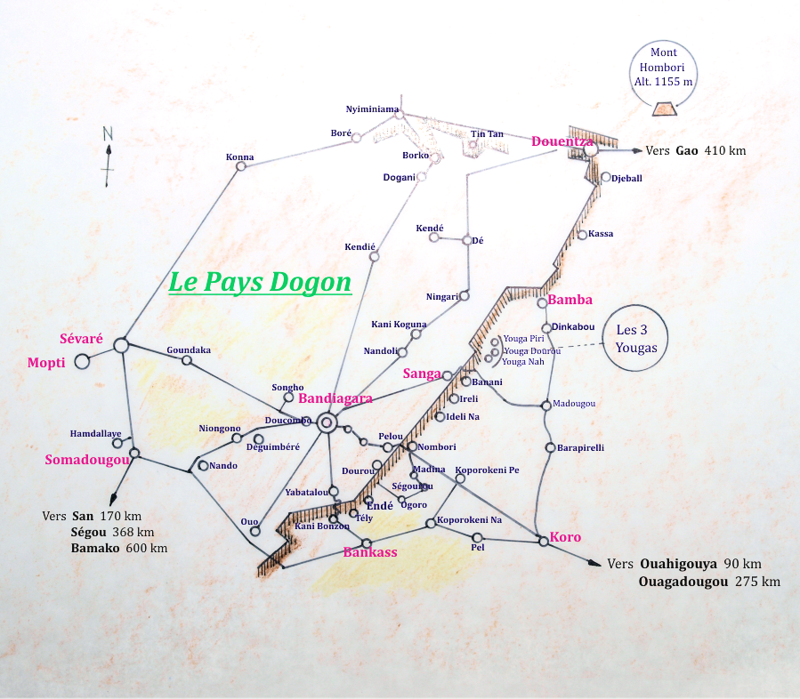 They speak Dogon - of course - but also many other national or foreign languages: French, English, German and Spanish in particular. They will introduce you to their ancient ethnic culture made of symbols and rituals. They do know the Dogon traditions and customs and they will lead you to the essential places of the Dogon culture : villages along the Bandiagara escarpment, troglodyte cliff dwellings, sacred places, traditional therapy places, Arts and crafts workshops, agriculture. its splendid mosque, Teli and its tellems (troglodytes caves) ; Endé, village of the bogolans (traditional fabrics), Bégnématou “the eyrie”. of Nombori, Tireli, Banani, return by Sangha. - Life in the plain: Bankass market, the red city.